We’ve got big plans for Westminster-Canterbury on Chesapeake Bay, and we are very excited to share them with you. 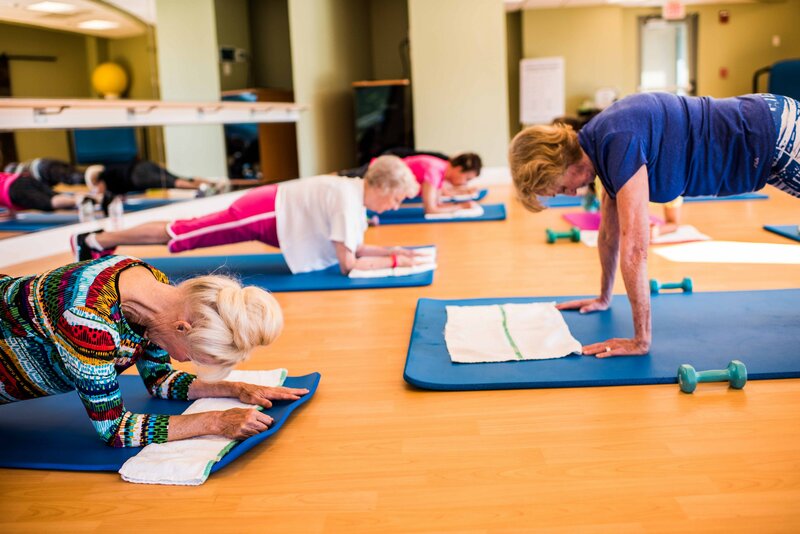 Over the next few years, we will be investing $36 million in our future because continuously improving our community and the lives of our residents is always our goal. We believe that our exciting new expansion and renovation plans will do just that. 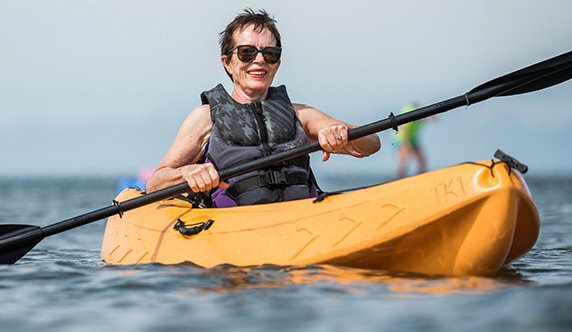 Thanks to our innovative plans, residents of Coastal Virginia’s premier retirement community will soon be able to enjoy even more amenities in our beautiful beachfront setting. Construction is well underway, and we're looking forward to completing our project in Spring 2019. Our website is a great way for you to stay in the know, so check back frequently for updates. Clubhouse Lounge at the heart of the community (offering a reading lounge, computers, coffee and conversation, snacks and more). No matter the weather outside, this beautiful new community space is sure to be a favorite gathering place. Expanded dining venues offering a variety of menus, ambience and dining styles. Living Room remodel spans the East and West Towers to create a striking and inviting area with sweeping views of the bay. State-of-the-Art Stone Rehabilitation Center - Now Open! 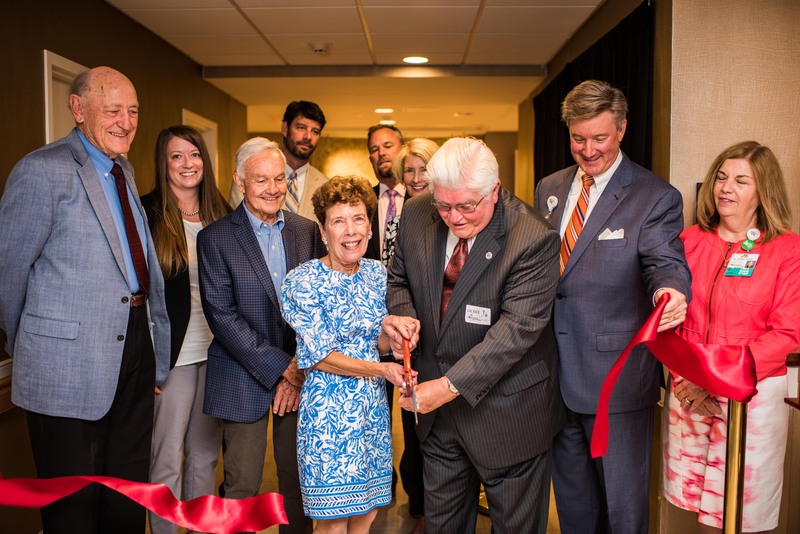 The ribbon has been cut and our Stone Rehabilitation Center is now open! We're proud to say it is an important and impressive addition to our community. 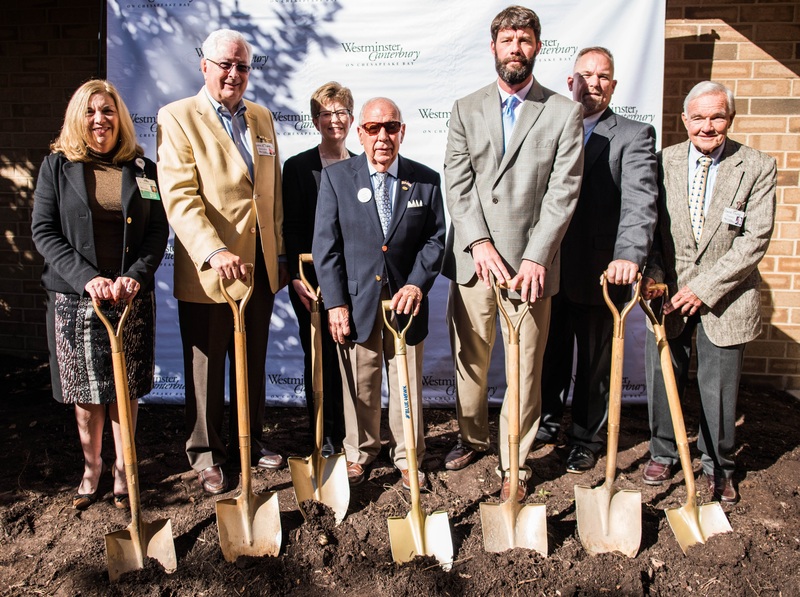 We broken ground on our new Stone Rehabilitation Center on the ground floor of The Hoy Center in 2017 and in July of 2018 we officially opened our doors. 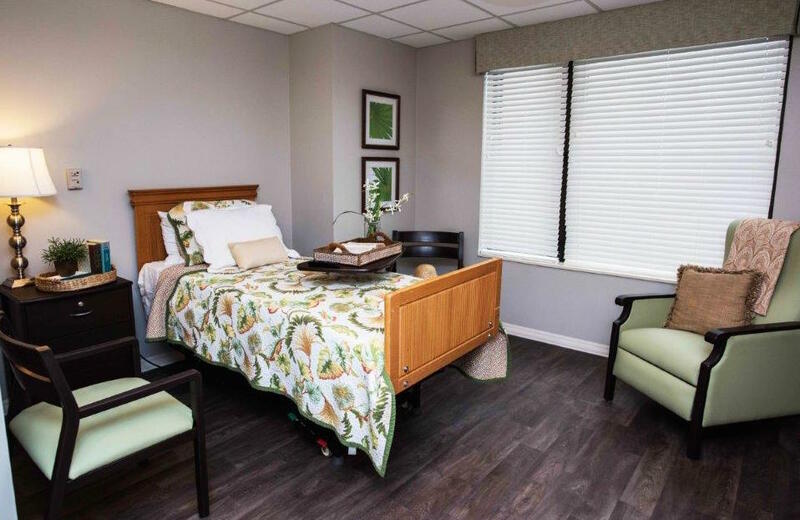 The center is a modern, open and welcoming place for advanced therapies, with twenty-three private rooms designed for comfortable inpatient rehabilitation. 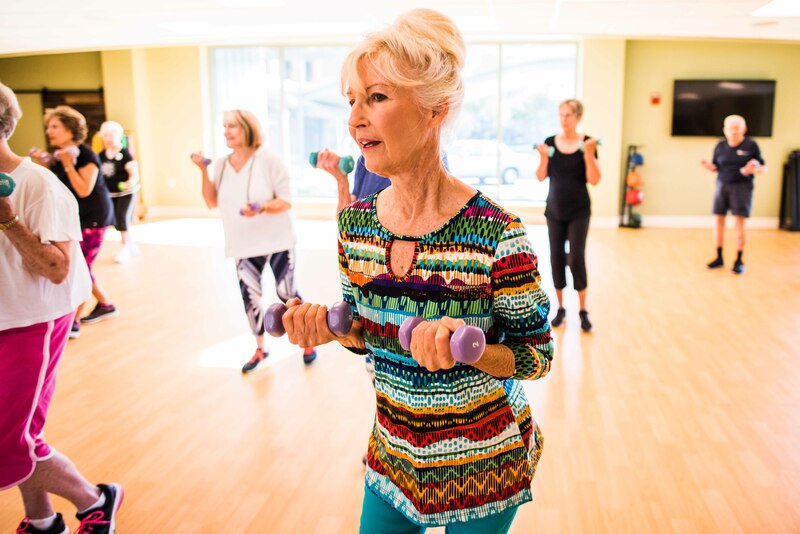 Our state-of-the-art rehab center includes a 3,000-square-foot gym , a 500-square-foot occupational and speech therapy gym, and an outside rehab garden for complete recuperation. And for the convenience of those who take advantage of our outpatient services, there is a private, dedicated access. New Birdsong Clinic Now Open! 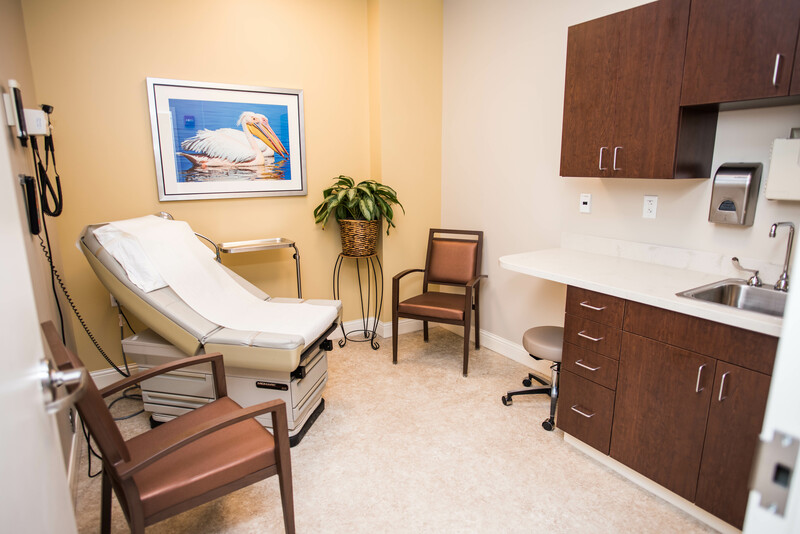 The Birdsong Clinic offers comprehensive medical care by licensed Nurse Practitioners to our community residents in a bright and comfortable environment. Between scheduled visits and urgent care, the clinic staff see more than 300 residents a month. The Nurse Practitioners are the primary care providers for more than 220 of our residents within our community. 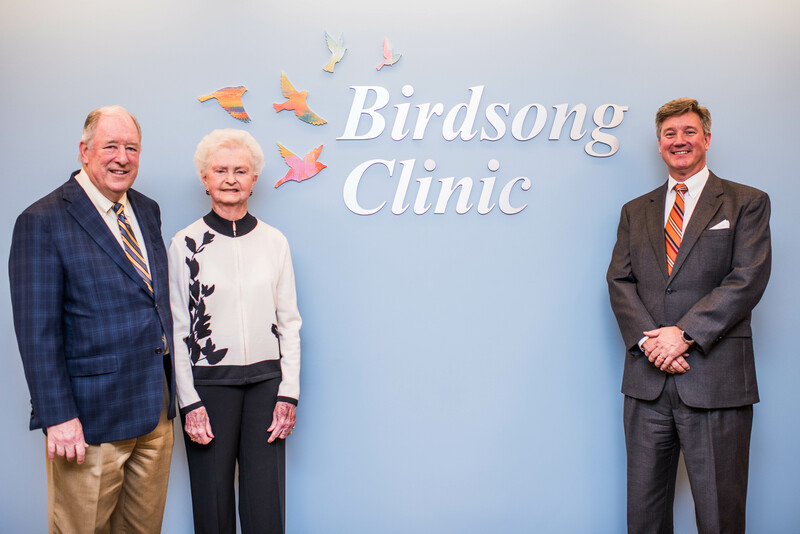 Thanks to the generous donation of Sue and George Birdsong, our Birdsong Clinic now features additional exam rooms and specialist suites, so we can offer more services to our residents including dental, podiatry, audiology, dermatology, wound care, mental health services, and on site laboratory services. With the additional exam rooms the urgent care hours are being extended and offered while scheduled appointments are also being seen. 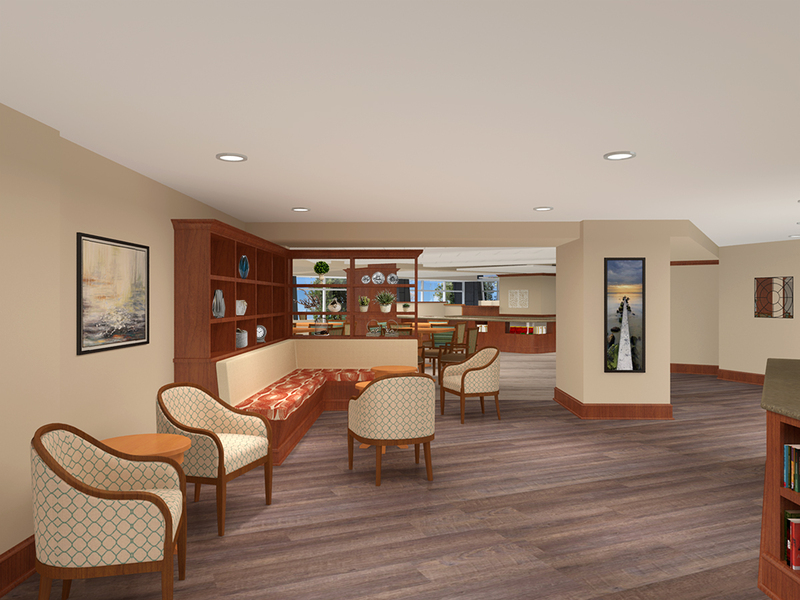 In the Hoy Nursing Care Center remodel, we are creating brand-new living spaces that enhance engagement on all three floors. 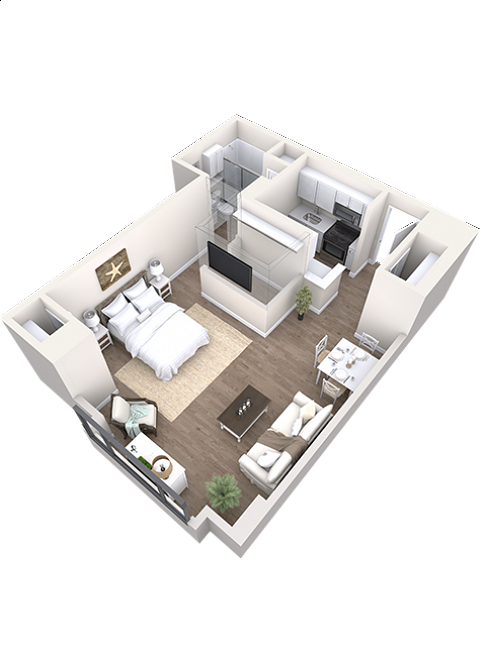 These modern and open private rooms will be comfortable, well-appointed and tastefully designed. 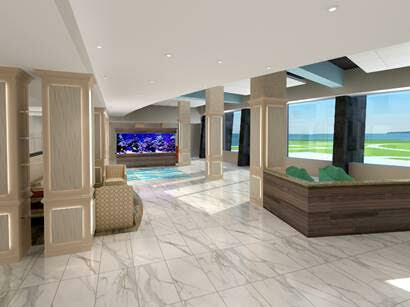 In addition, our plans include three spacious and architecturally striking outdoor terraces where residents can enjoy breathtaking views and refreshing ocean breezes along with 5-star care. 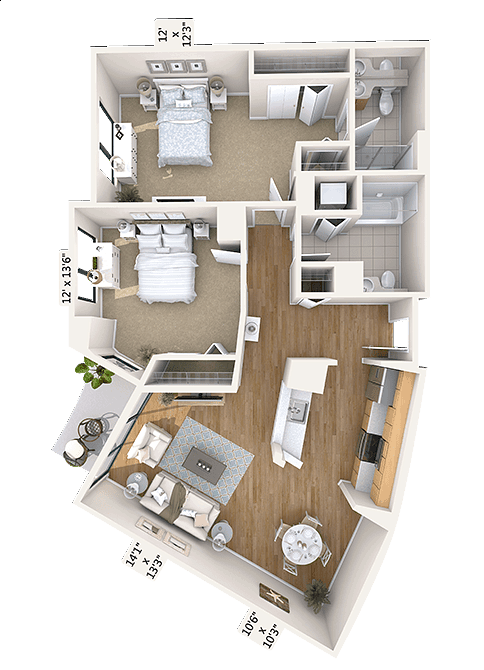 Our community in the Hoy is being redesigned to create small, comfortable settings, which we call Lighthouses, each with a family room, open concept kitchen, and restaurant-style dining. 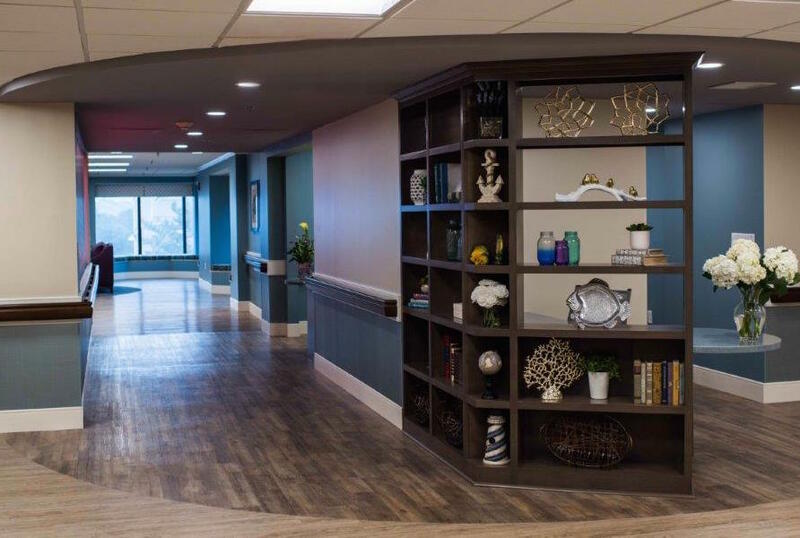 Our person-centric living aligns the delivery of care with individual needs and preferences. We're pleased to have opened all five of our redesigned Lighthouses. Mission Point and Point Lookout are both on the 2nd floor and the Cape Henry and Rose Island Lighthouses are on the 1st Floor. Point Roberts is the 3rd floor which recently opened in mid January. Outdoor terraces, or as we call them Observation Decks, have also been added to each of our three floors. The first one opened in October of 2017. Wellness Studio Expansion- Now Open! Our wellness renovation in our West Tower includes an impressive, newly constructed 1,800-square-foot fitness and wellness space. This modern and open area is enjoyed by all as the home to our regular exercise and dance classes. 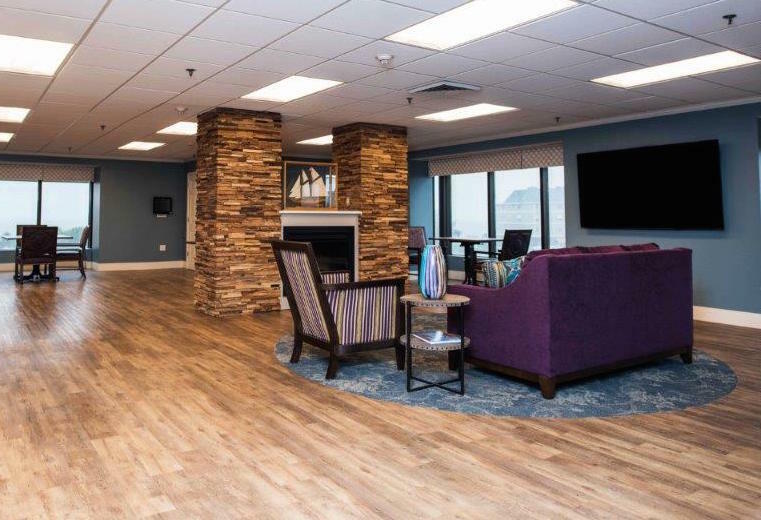 Our common space remodel is a grand one that spans our East and West Towers. It will include an expansion of the living room, creating a striking and inviting area with sweeping views of the bay. No matter the weather outside, this beautiful new community space is sure to be a favorite gathering place. 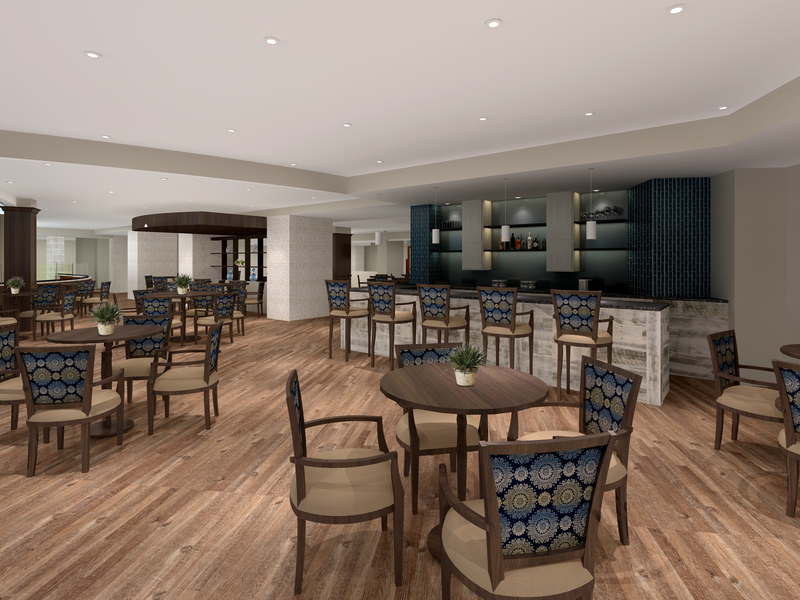 The Clubhouse Lounge has a new name, "The Overlook"
Our new Clubhouse on the first floor of the East Tower encompasses two new and exciting additions—the Lounge and Café. Both venues will offer expansive views of the bay. We're excited to share the new name our residents picked for this much anticipated expansion is "The Overlook." 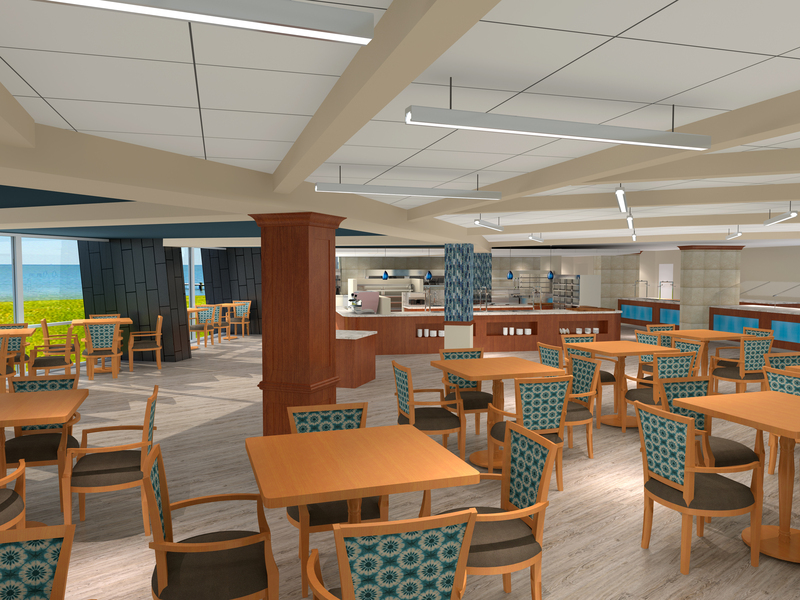 The Café located on the Overlook will feature convenient and delicious grab-and-go meals for busy days. The Overlook, with its relaxed and inviting lounge area, will be ideal for a perfectly brewed cup of coffee or a monthly book group meeting. 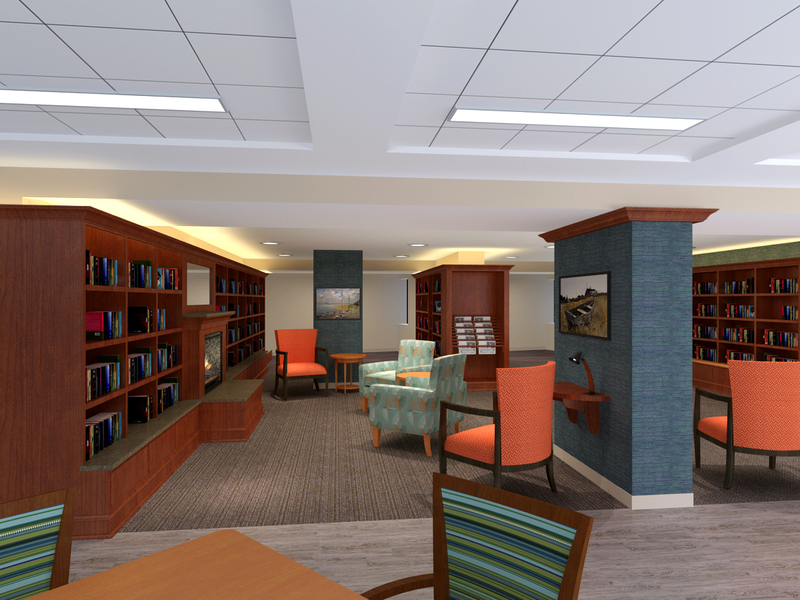 Conveniently located nearby will be our beautiful new Library. Julia’s Bar and Lounge is expanding! Enjoy a cocktail at our full service bar. The menu will feature salads, small plates, sandwiches, burgers, flatbread pizzas and classic entrees. Join us for lunch or dinner. 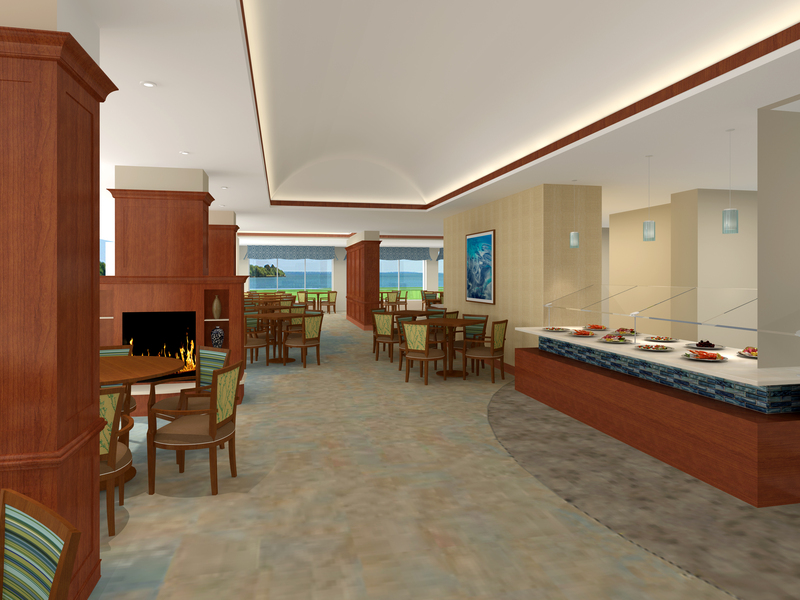 Our Beachfront Dining Room expansion will include our signature views overlooking the bay as well as several fireplaces. Our cooked to order menu will feature seasonal items and signature dishes. Get to know us. This is where you’ll want to be. Call us today at 800-753-2918 or click here to contact us. 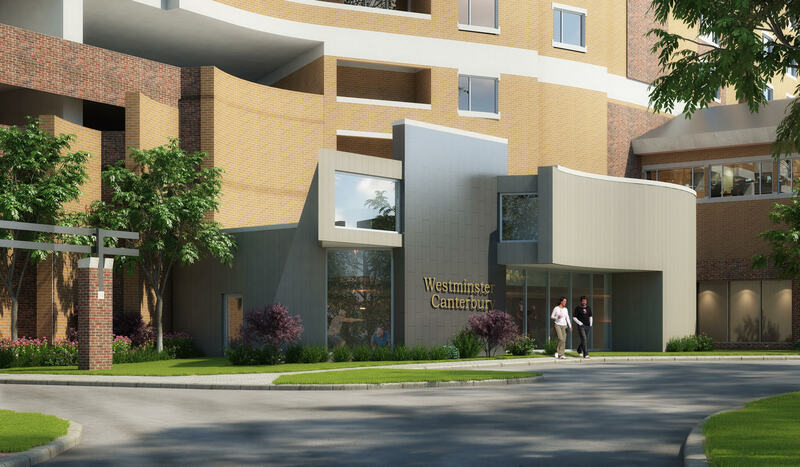 Current residents, family members and team members, if you have questions about the Revitalization Project, please email us at WCRevitalization@wcbay.com or call 757-217-2447 to learn more.